This time I am using the same few spices but slight variation is there for this Meen pollichattu which I have not used in my previous recipe. The style of wrapping the fish in banana leaf, I liked it very much. Now I am addicted to it so much that, every time, i try to make meen pollichathu, when I am having pomfret fish. Wrapping the fish in banana or aluminium foil makes the fish more softer and moisture, as it is enclosed with banana leaf, it is full of aroma and tasty too. This recipe is different from my previous recipe as I have used coconut milk. It is just frying some onions with some spices and wrapping it with the fish. But if you want can add tamarind paste or kokum water ( fish tamarind or meenpuli also known as kokum) as per your taste, it tastes good. Kokum is mostly used in kerela and in curries as a sour ingredient. In this meen pollichathu, I have fried the fish then wraped it with masala. If you want you can directly wrap the marinated fish and fry it on a pan or tava, but it will take more 10min as it is cooked from raw fish. If you want can wrap the fish in the same process, but instead of baking it, can fry it on tava or pan also. Once only I tasted meen pollichathu in a restaurant but I was not satisfied as per taste, I read in the books and got some information from one of my keralan friend (manju) and, I know how it should be and spices go in the taste also. When you cook the fish in banana leaf and cook it, the fish will be moist and soft and juicy also, and the smell of banana leaf will also will be there. Till now, I have cooked meen pollichattu 6 types ,with slight variation I have cooked it in the oven and also on pan using aluminium foil, which was tasty too, but when you cook in banana leaf and fry it on tava or in oven, bake it ,the flavour of banana leaf also comes from the fish , where as in aluminium foil only the fish and spice taste will be there .cook the fish in simmer on tava, when it is wrapped in banana leaf or aluminium foil, with a closed lid, it will make the fish more juicy and succulent. This time I have cooked it in the oven (baked), by using aluminium foil, as here we don’t get banana leaf so easily. This time I have used pompfret fish (small size), you can use any firm fish you like. First clean the whole fish properly and make slits on the fish, so that fish will be marinated well. Chop the onion, green chillies, and tomatoes and keep it aside. I have used Maggi coconut milk powder for coconut milk, you can use fresh or coconut milk tin also. There are 3 stages involved. First marinate the fish for 1hr or 4hrs to overnight. Mix all masala (ingredients) in a plate, can add few drops of water to make a thick paste. Then apply on fish. Now take a pan, add 2tsp oil, when it gets heated up, now place the fish on pan or tava, sizzling sound comes, drizzle few drops of oil around it and on top, so that it won’t stick to the pan. Fry the fish for few minutes on one side and the other side also. See to that fish is fried well on both sides, but not over cooked. It will be soft but it is cooked and it is like a fried fish. It will not take more than 10 to 12min. cook it on medium heat. After cooking the fish, keep it aside. Take a kadai ,add oil, when it gets warm add mustard seeds, when it splutters add shallots, stir well, cook till it is light brown and soft. Now add ginger and garlic paste and ginger pieces, stir for a second add green chillies also, stir well. After 1min, add chopped tomato and all dry powders mix well, add water, so that spices are not burnt. Add coconut milk, salt and cook till tomatoes are soft and well blended with spices, and all the coconut milk is absorbed . I have not chopped the tomatoes finely as any how it is going to become soft while cooking. Cook on medium heat and at last when masala is getting dry simmer it, so that it starts leaving oil. 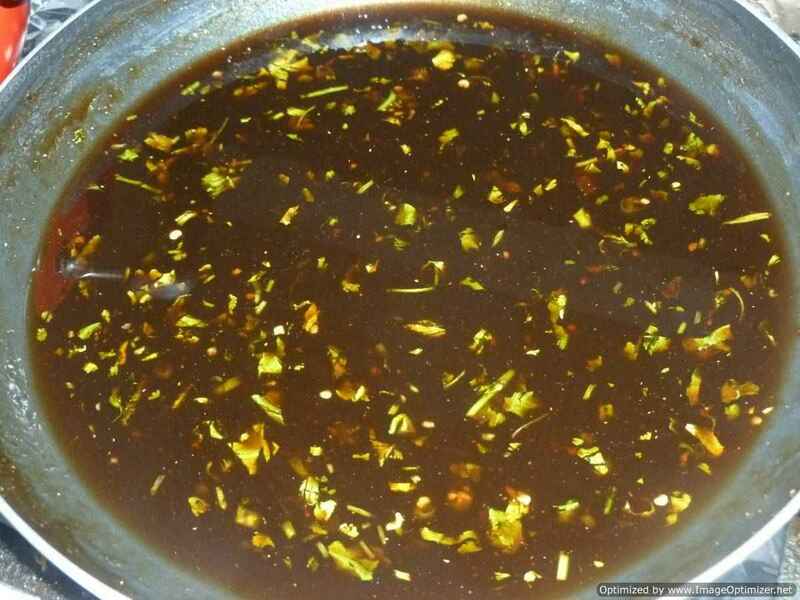 When the masala is cooked, it starts leaving oil on top and becomes like thick gravy texture and it should be dry switch it of and let it cool. Take a banana leaf or aluminium foil, grease it with little oil (optional), the area where you are going to put masala and fish. First put masala on aluminium foil then, place fish on it, then again masala and spread it. Now put some coriander leaves and curry leaves on the masala and then wrap the fish. I have done on both the fish. If you are using one fish then arrange on only one fish. Close the aluminium foil, on both sides, then the other 2sides, then pierce it with tooth prick or thread (cut it long and just roll it on both sides) .it is just to make sure that wrap is not opened. Close the all ends. Now place the fish on the oven tray and keep it inside the pre heated oven for 10- 12 min (200c). 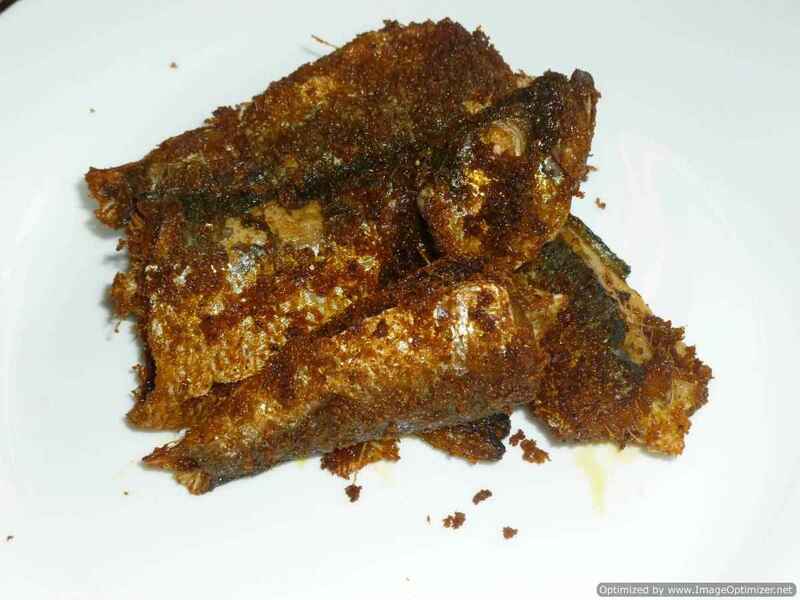 Put it on the same tava , in which fish was fried , put 1/2tsp oil, when it gets hot, put banana leaf or aluminium foil and fry it on both sides till the leaf or aluminium foil becomes brown or changes colour. Turn carefully, as the gravy can come out, the banana leaf colour changes when it is cooked. You can close the lid and cook the fish on lower flame, it will take 10 to 15min. or just without the lid also you can cook. When the lid is closed, my experience is, it will be more juicy and soft, if the lid is opened and cooked it is little dry but tastes good. When it is cooked place it on a plate and open the aluminium foil, you will see that masala is nicely attached to the fish and coated well. The coriander leaves and masala are well attached to the fish. Good taste, spicy and coconut milk taste also there. Can serve it with plain rice or any dish you like it. Banana leaf if using use baby banana leaf, as it will not tear like big leaf does. If the masala is thick and little dry, it will be easy to apply on fish and wrap also. If you want you can use chopped ginger and garlic instead if ginger & garlic paste. You can reduce chilli , if you like. add salt according to requirement. Can avoid tomato pieces if you want and add 30ml of coconut milk and cook the masala till it dries or can add both few chopped tomatoes and coconut milk, you will get different taste. Can alter with spices , according to your taste. In fish marinate, chilli powder, ginger and garlic paste, turmeric powder, pepper powder and lemon juice all these ingredients you can add according to you taste, whichever you like. In masala also you can add ginger and garlic paste, chilli powder, coriander powder, tomato, pepper powder, tamrind paste or kokum water(kokum soaked in hot water for few minutes), coconut milk, in this also it is up to you, you can add anything which you like, according to your taste. While cooking masala,if it is sticking to the pan when spices are added and cooked, can add little water,while cooking. Can use tinned coconut milk,fresh from coconut or coconut milk powder,but it should not be very thick,nor thin. I am giving you another same recipe where i changes the spices and measurement which I used for pompfret fish , so that it will easy for you if you are using any medium size fish but it is spicy. a. Fish: pompfret 250gms or 1 medium size (full fish); Make slits on fish. b. Marinade: chilli powder 2 tsp, salt as per taste, turmeric powder 1/2 tsp, pepper powder 1/2 tsp, lemon juice 1 tbsp, ginger and garlic paste 2 tsp, oil 1 tsp. 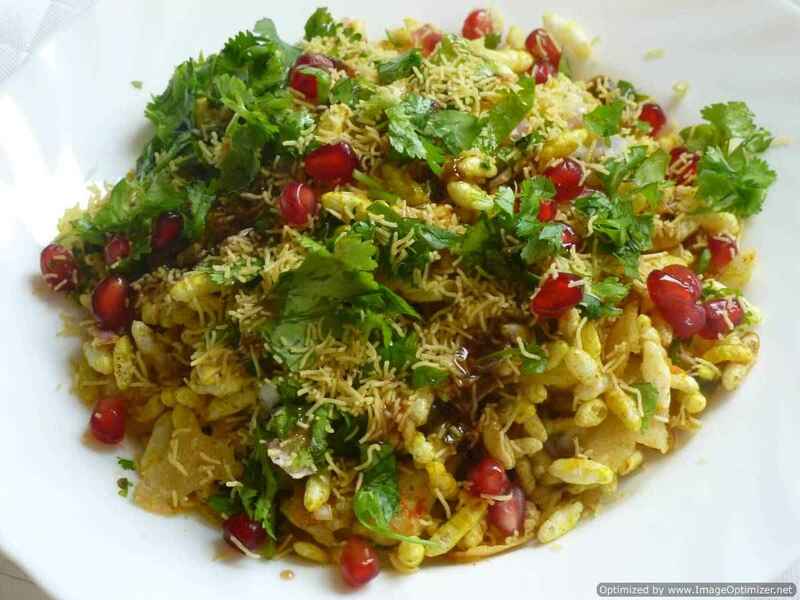 c. Masala: Onion (shallots) 17 or 110 gms or 1cup (chopped or sliced very thinly), oil 2 tbsp, ginger and garlic paste 1 tsp, tomatoes 1 (chopped), curry leaves 10, green chilli 1 (chopped), mustard seeds 1 tsp, chilli powder 1 tsp, coriander powder 1 tbsp, coconut milk 1/2 cup (Maggi coconut milk powder used), salt as required.